An engagement ring is usually the most valuable piece of jewelry a woman wears on a regular basis, and because it's always there, it is important that it works with every outfit. Engagement rings can also be regarded as something of a status symbol among women, with the ring representing not only the fact that she has found the man she wants to marry, but also wealth and personal taste. 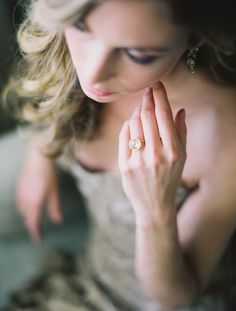 While there are various theories about what percentage of his income a man should spend on an engagement ring, for most people the real secret to getting a ring a woman will love is to choose something that fits with her personal style rather than blowing your budget. 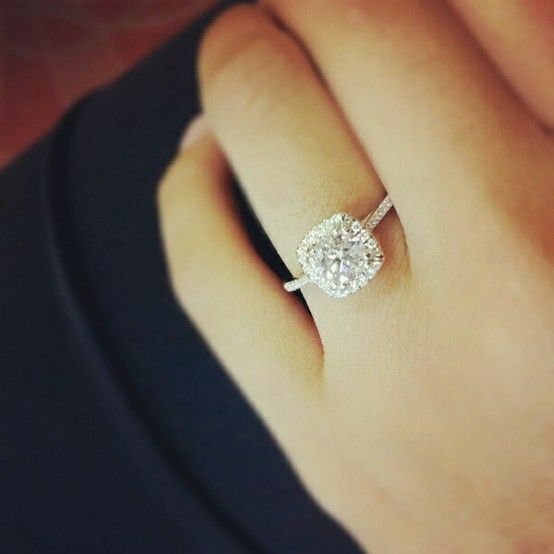 In addition to personal preference, there are also trends in engagement rings just like in any other kind of jewelry. There is a wider choice of design available in these metals nowadays so women who want to wear white metals can still choose the cut and configuration of stone they want. Platinum is seen as more expensive than gold and therefore a better status symbol. White metals suit more women's complexions than yellow gold. White metals don't look odd when worn with silver jewelry, and most women have silver costume jewelry or watches. Since nobody wants their jewelry to clash and the engagement ring will be worn every day, a white metal ring offers more flexibility. Many people feel that white metals compliment diamonds better than yellow gold. Platinum is harder than gold and the ring will therefore be more robust. Yellow gold has largely fallen out of favor in fashion in general. White gold is yellow gold that has been plated, and a white gold ring needs to be re-plated every few years to keep it looking its best. Most women who want a white metal will choose platinum if it is an option price wise. Another big change in the most popular styles of engagement rings is that more and more women seem to be choosing square ('princess') cut diamonds, or emerald cuts (which are rectangular). An emerald cut is popular because it can make the stone look bigger than a diamond of the same weight in a square or rounded cut, and can also make the finger look longer and more elegant. Square cuts are often chosen because they look more modern and offer a specific sparkle! Nancy Baker is a fashion blogger who takes a lot of interest in the precious metals used to make jewelry. 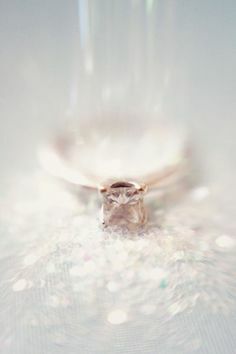 White gold is her preferred choice for rings of all types.